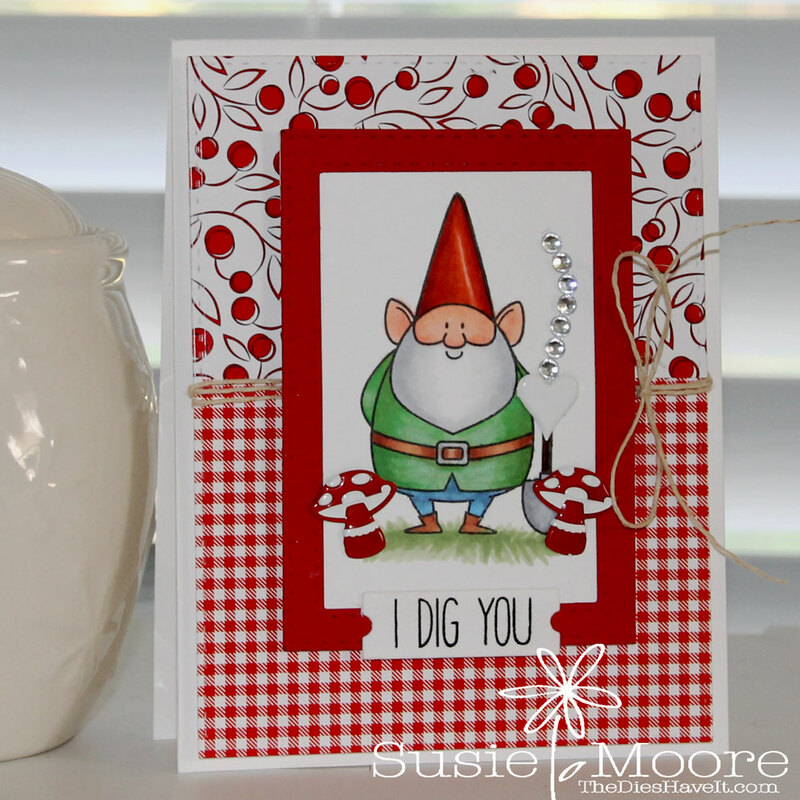 Today's card features a valentine gnome and some products from Eyelet Outlet. I used some bright Lawn Mushroom brads and also one Heart brad for the handle to my gnome's shovel. I couldn't resist using a little bling for my card so I grabbed some Clear Jewel Bling and added it to the top of the heart. 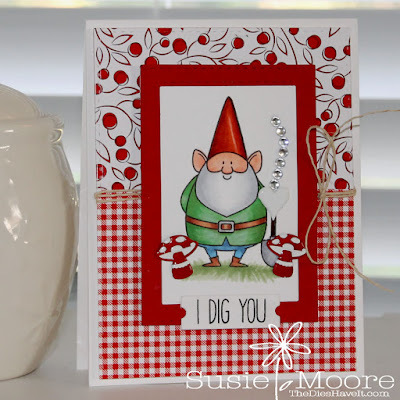 My papers are from Gina K Designs and the stamp set is from MFT Stamps. Have a wonderful day and I'll see you right back here tomorrow.